For keeping your computer and removable device save from autorun virus attacks and malicious files, this application needs to be installed. USB Virus Remover works to protect your USB drive from viruses. Additionally, it also ensures that no viruses are transferred from the USB to your computer, providing you the double protection for your hardware. It comes with a console-like interface, which is not very appealing, but once it will, starts its processing, you’ll nearly forget about the weird interface of this application. Even with the console-like interface, you can see the tasks being performed by the application. USB Virus Remover works when you provide specific instructions to scan a particular drive. An important thing that must be considered here is that you should not scan the drive with your operating system as your computer can stop functioning leading everything to halt. One of the best things about USB Virus Remover is that it does not remove any executable files on its own instead it asks for your permission in doing so. Such a feature enables you to get the files that you know are safe without worrying about the deletion of everything that the application considers unsafe. 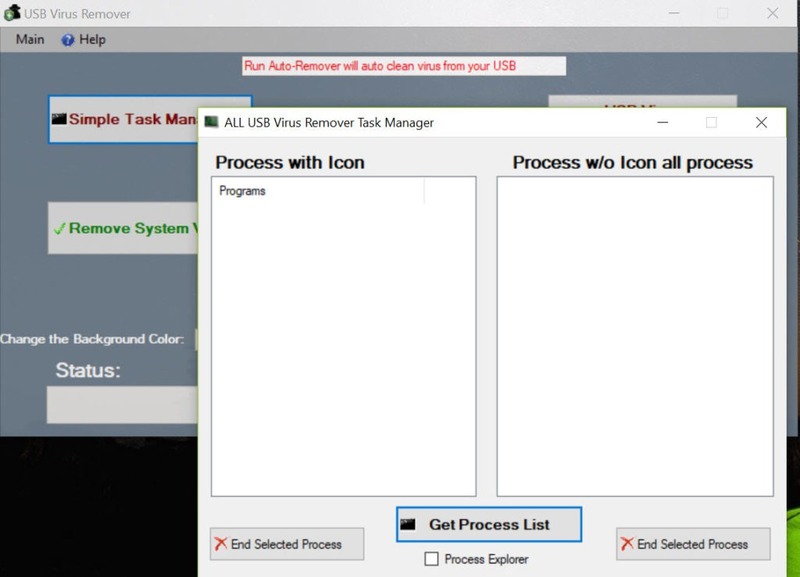 USB Virus Remover allows you to keep your computer and USB safe from autorun virus that can harm your removable drive along with the computer.